Three Oromo protest singers have reportedly been arrested, abducted and tortured in Ethiopia during December 2015: Hawi Tezera, Jireenyaa Shifarraa and Bilisummaa Dinquu. 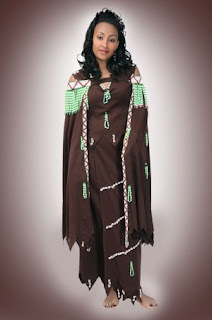 Hawi Tezera, an ethnic Oromo singer, was reportedly beaten, arrested, released and then rearrested in the space of just seven days in December 2015 by Ethiopian government security forces in connection with her song about ongoing protests in Oromia, Ethiopia’s largest administrative region. This was reported by the advocacy group Advocacy for Oromia as well as other sources. Two Oromo male singers, Jireenyaa Shifarraa and Bilisummaa Dinquu, are also said to have been abducted by government forces during the same month after being accused of releasing music which is critical of the government’s policy in Oromia. Photos of Jireenyaa Shifarraa in handcuffs were circulating on social media in December 2015. Students in Oromia have been protesting against a government plan to expand the area of the capital, Addis Ababa, into Oromia. The students argue that the controversial plan, known as “the Master Plan”, would result in mass evictions of farmers mostly belonging to the Oromo ethnic group. Hawi Tezera was reportedly detained and tortured by the Ethiopian Federal police for releasing an Afan Oromo single music that is critical of the Ethiopian government’s affairs, such as the “Master Plan” and the killings following the protests against the plan in Oromia. The single was released on 15 December 2015. It was produced using the traditional Oromo protest genre called Geerarsa. Upon the intervention of the Oromian State police, Hawi was released only to be imprisoned again days later. In that time interval, activists were able to take a photo of her beaten body which were posted on social media. According to reports, at least 17 Oromo singers whose lyrics allegedly show “nationalistic tendencies” were banned from air waves in December 2015 by the Ethiopian Broadcast Authority. The Ethiopian government is allegedly undertaking a massive clampdown on dissenting citizen voices in relation with the ongoing Oromo student protests in Oromia. According to Global Voices, the regional political party known as the Oromo Federalist Congress reports that upwards of 80 people have been killed over the past four weeks by government forces. The government said on 15 December 2015 that five people had died.